Available for pre-order and in stores August 12 is the new hardcover book Marvel's Guardians of the Galaxy: The Art of the Movie, which offers a look at all the concept art, character, vehicle and weapon designs that went into making the movie. 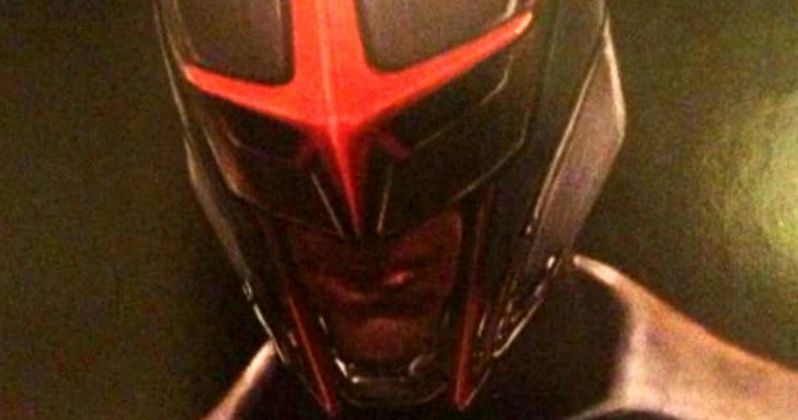 And included in these pages is our first look at Nova, at least in concept art form. Richard Rider is an Earth born superhero given the abilities of a Nova policeman by a dying Rhomann Dey, played by John C. Reilly in Guardians of the Galaxy. Its very possible that he will show up in Guardians of the Galaxy 2, especially considering that Marvel has already commissioned concept art for the character's big screen debut. Continuing their popular ART OF series of movie tie-in books, Marvel presents its latest blockbuster achievement! Featuring exclusive concept artwork, behind-the-scenes photographs, production stills, and in-depth interviews with the cast and crew, Marvel's Guardians of the Galaxy: The Art of the Movie is a deluxe keepsake volume that provides an insider's look into the making of the highly anticipated film.